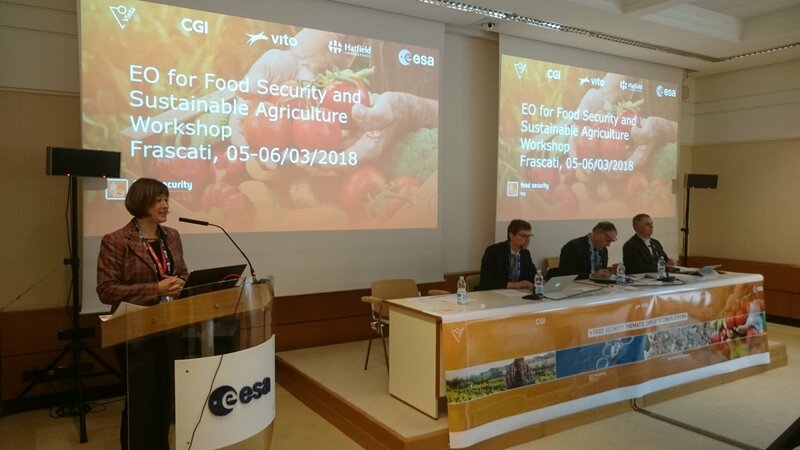 On 5th and 6th of March 2018, the Food Security platform team organized a workshop at the ESRIN facilities of the European Space Agency (ESA) in Frascati, Italy bringing together its diverse agricultural user community. The workshop, titled “EO for Food Security and Sustainable Agriculture”, brought together stakeholders from the public sector including science and education, from the farming and insurance industry as well as from organizations providing EO services. More details can be found here.